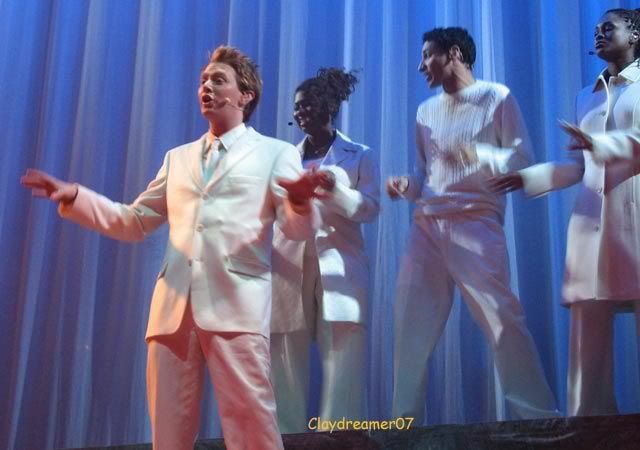 Clay Aiken is going to be a guest on The Arsenio Hall Show!! 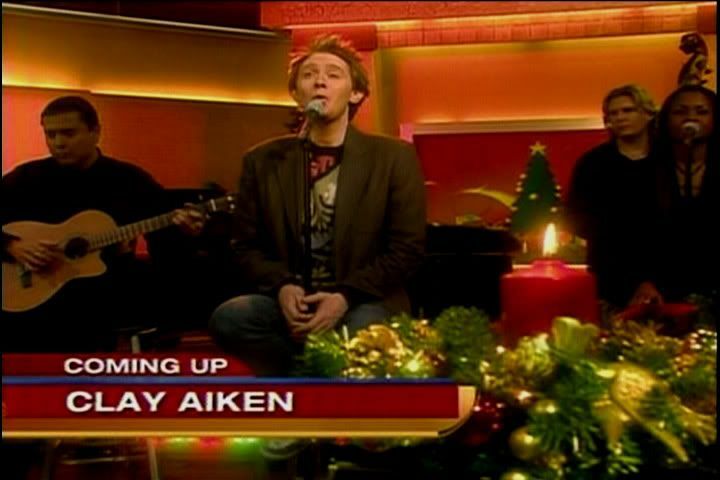 Tune in this Thursday, December 19, to catch Clay on the opening of the Arsenio Hall Show! Find out what time and channel the show will be on in your area and don’t forget to set your DVR. 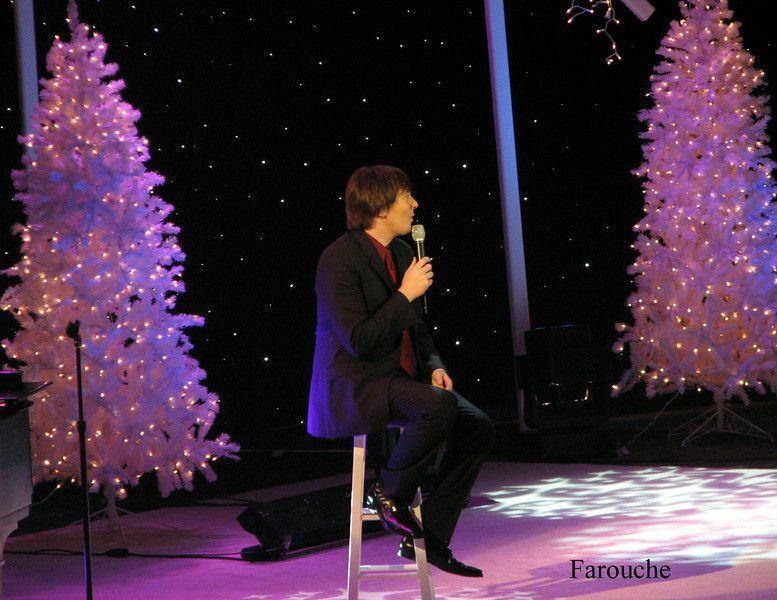 I am missing Christmas Clay so a few pictures will help a little! Do you have a favorite picture? Funny how Arsenio's name is spelled wrong, lol! Spell check is your friend! Well then, Arsenio DOES have an unusual name. Will be glad to see Clay, if only for a minute. Who said that he is NOT having dinner with the ladies? I will definitely be watching. I wonder if he will be singing or if he will be making his big announcement. Hmmmm…. I will definitely be watching. I'm just so happy to see Clay. 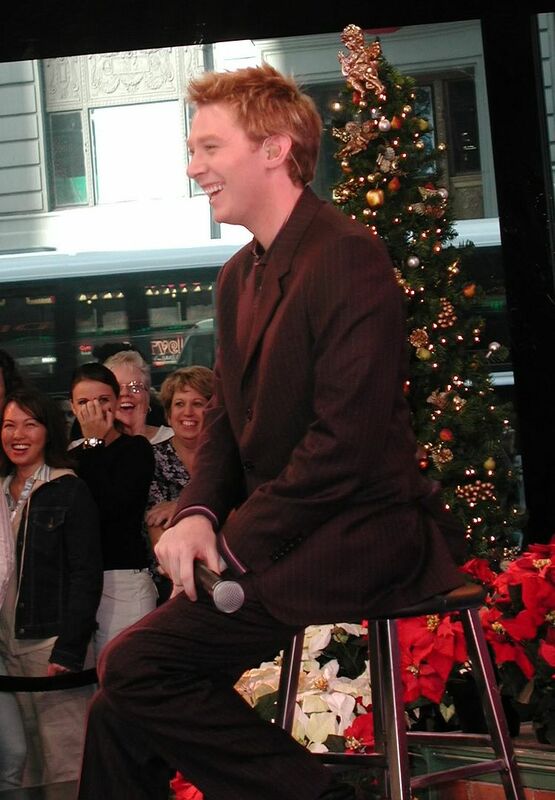 I've never seen that one pic from Good Morning America – 2003. I like how natural that picture is. But as always, I love them all…so many memories. ABOUT TIME!! OF COURSE I'M RIGHT ON TOP OF IT. Only 2 days to go – I hope he gets to sing!!! Will be waiting very happily!!! I'm one of the two ladies who are missing out on dinner with Clay before the Arsenio show [I'm a guest of the auction winner]. Unfortunately, Clay JUST got notice that he will be on the show and due to timing difficulties, he's simply flying in and out, with no time for dinner with us. I have NO doubt that Clay will make arrangements for the dinner some time in the future. We are, of course, still invited to be guests at the Arsenio show, but neither of us will be able to attend. However, I'll be glued to my TV! I am so looking forward to seeing Clay on TV this Thursday night. I feel bad for the guests who were to have dinner with Clay, but hopefully that will be arranged soon. I love all the pictures. I love the one where they are all dressed in white , puts you right in the Christmas spirit!. 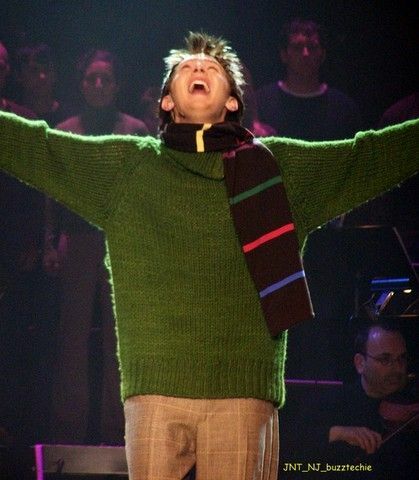 I also like the green sweater, he looks so joyful it and it just glows of Christmas. Error: Error validating access token: Session has expired on Tuesday, 21-Aug-18 16:13:01 PDT. The current time is Saturday, 20-Apr-19 01:45:45 PDT.